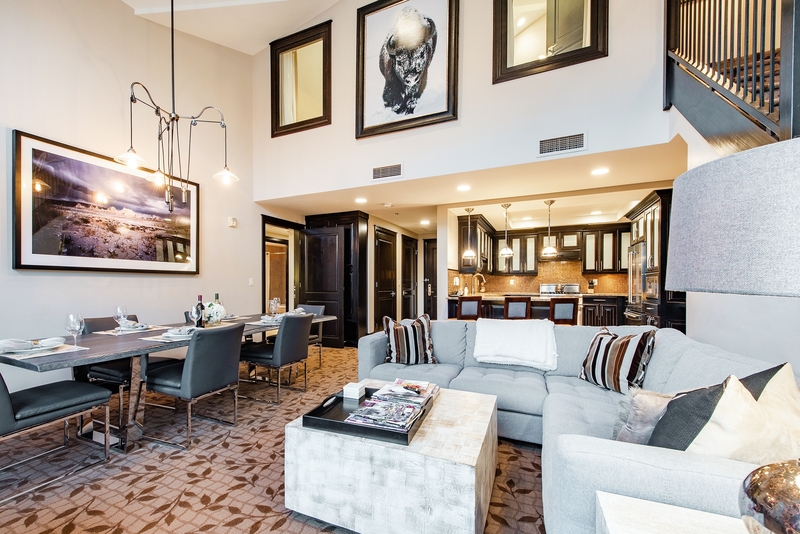 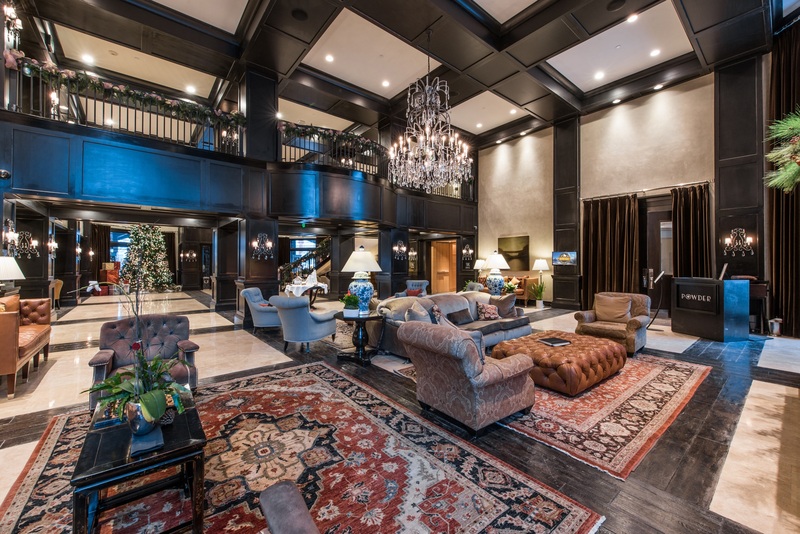 This Luxury hotel residences is lavish in every way, starting with the beautiful lobby -- crystal chandeliers hang from the high beamed coffered ceilings, antlers adorn the walls, and leather and dark-wood accents give a dramatic but warm feel. 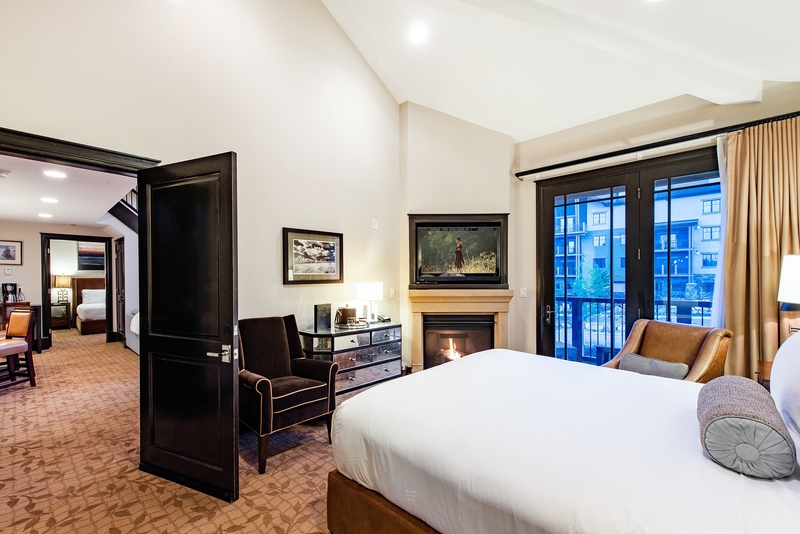 The restaurant (Powder) is similarly cozy and upscale, with all rooms featuring fireplaces and large marble-and-granite bathrooms. 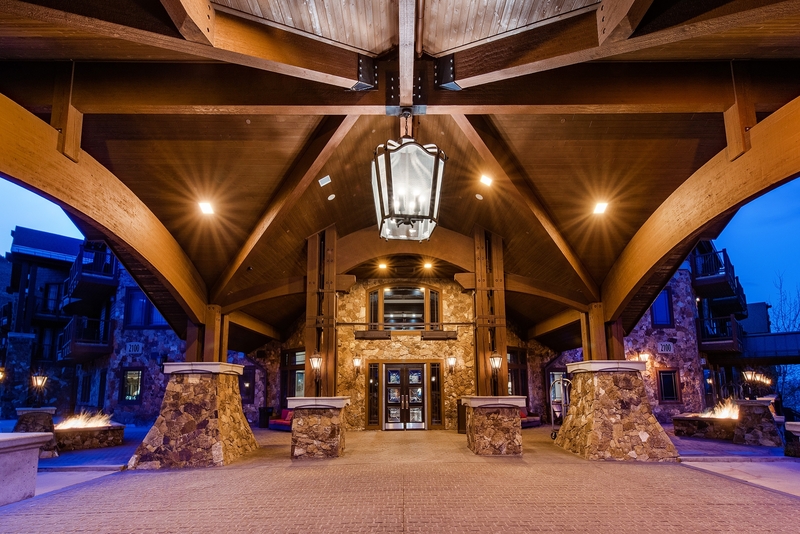 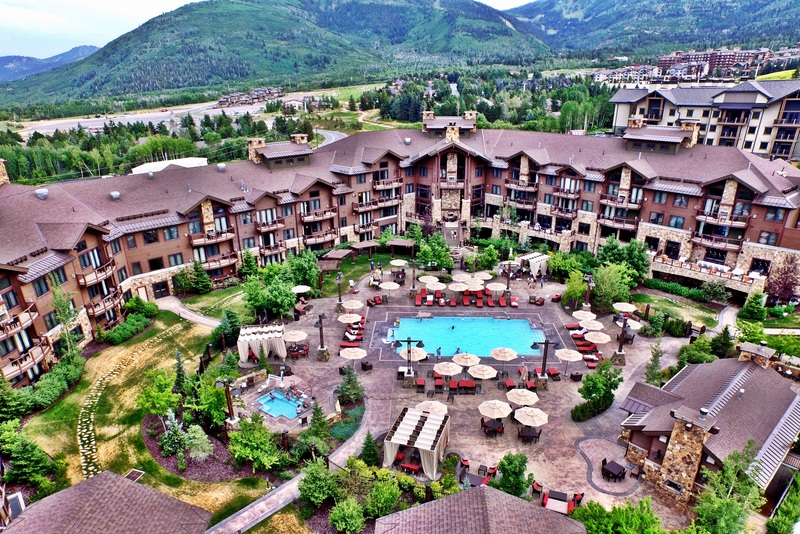 The pool area is gorgeous as well, boasting magnificent mountain views, and 2 hot tubs. 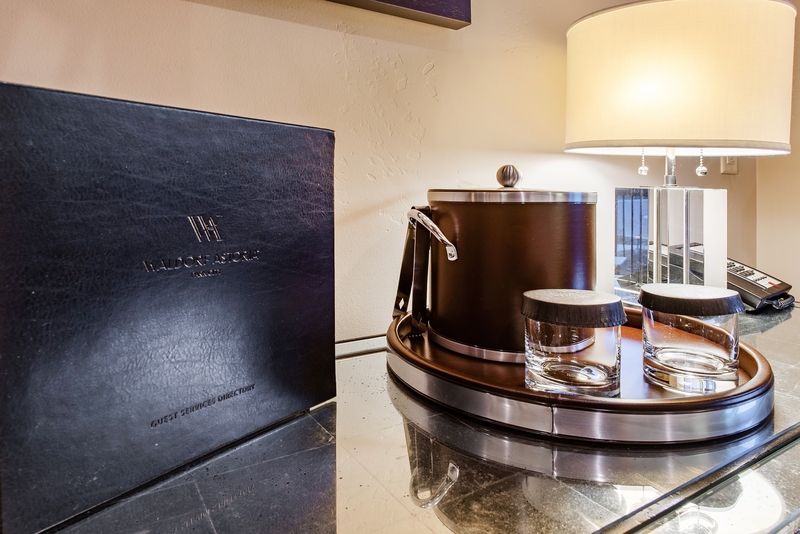 The unit also includes valet parking with in and out privileges. 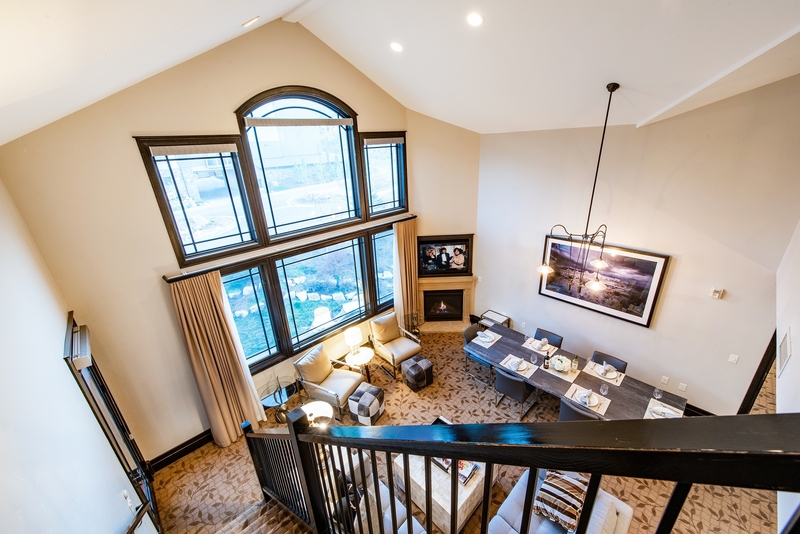 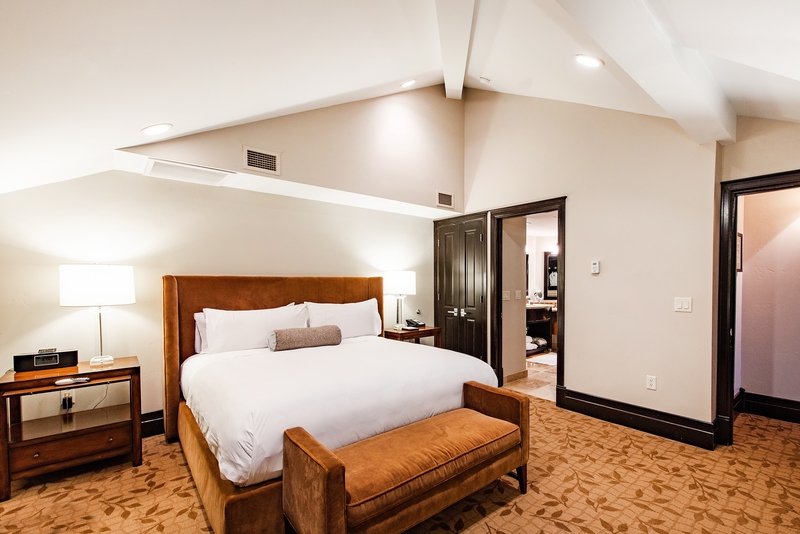 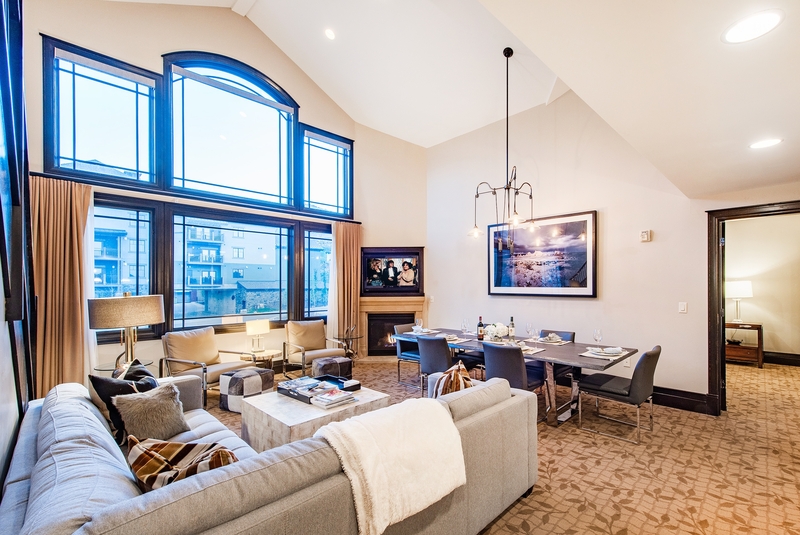 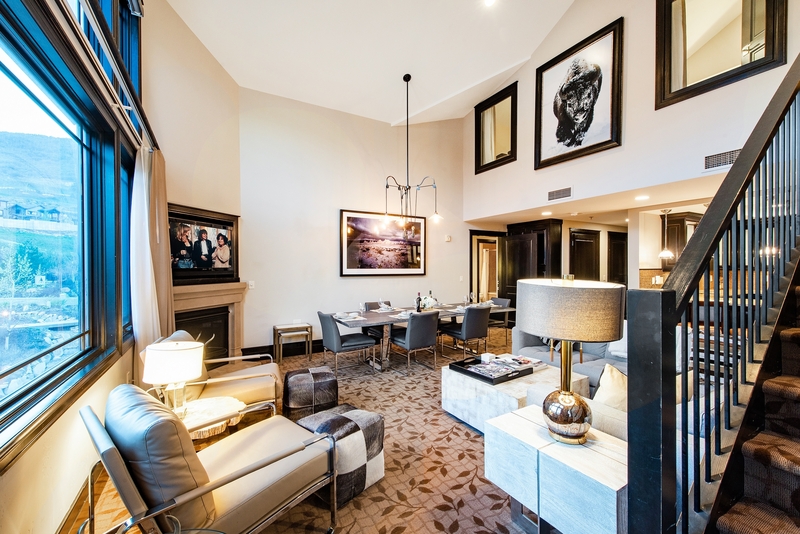 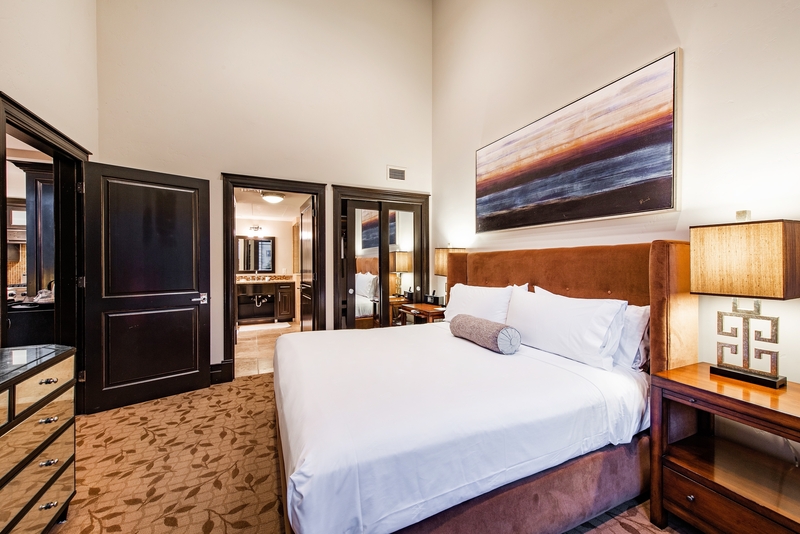 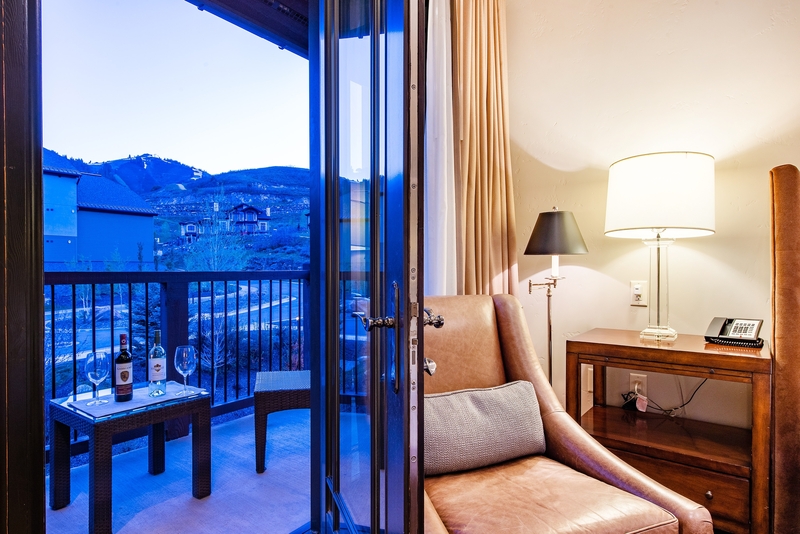 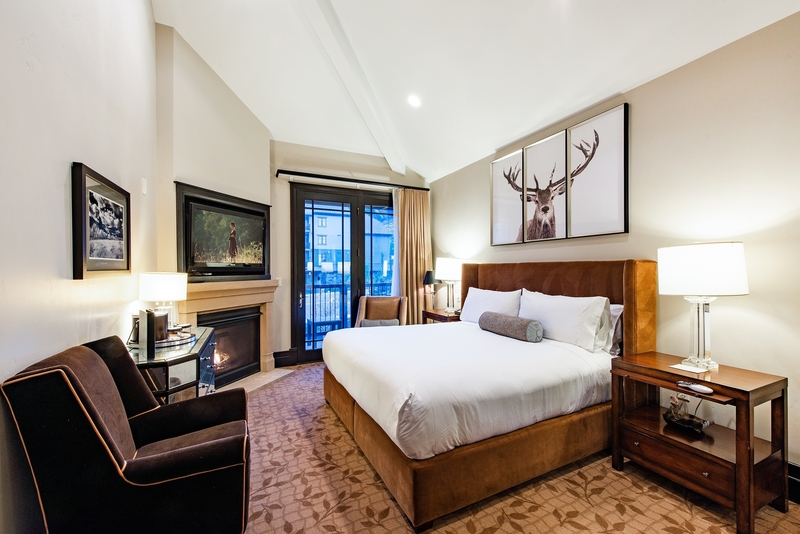 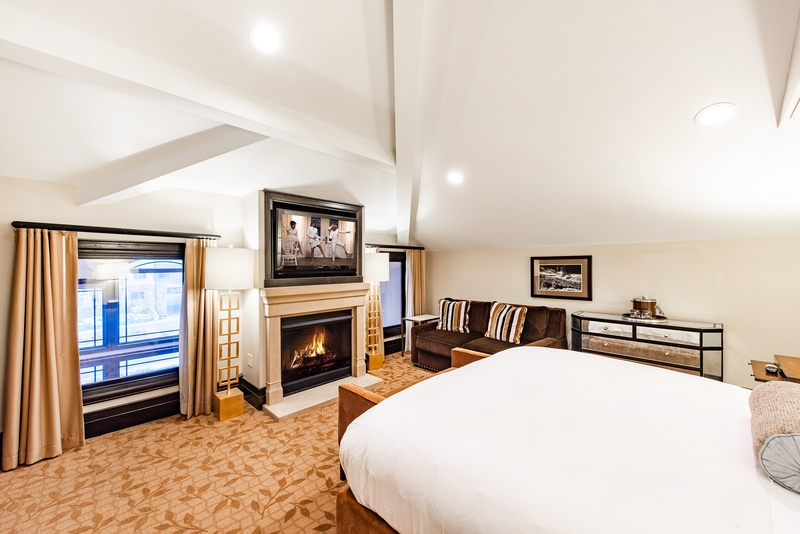 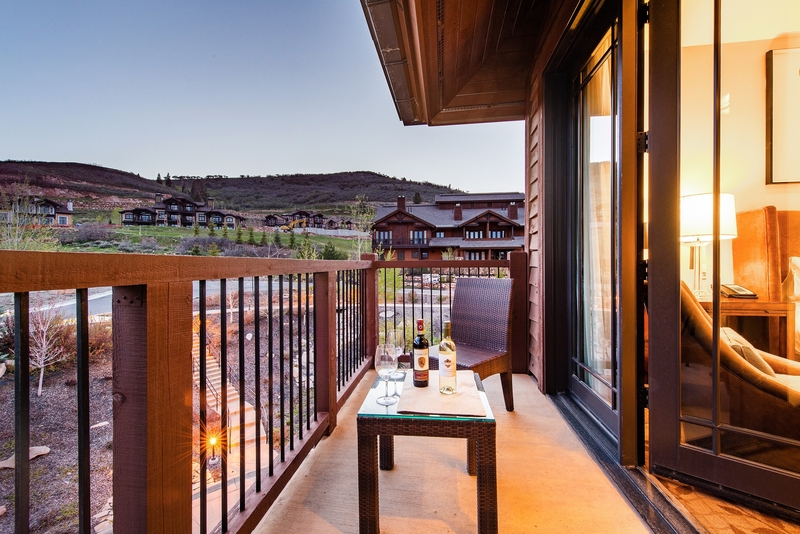 After a day on the slopes, return this luxury hotel here in Park City to dine at the restaurant, drink at the bar/lounge, and enjoy comforts including an outdoor pool and a full-service spa. 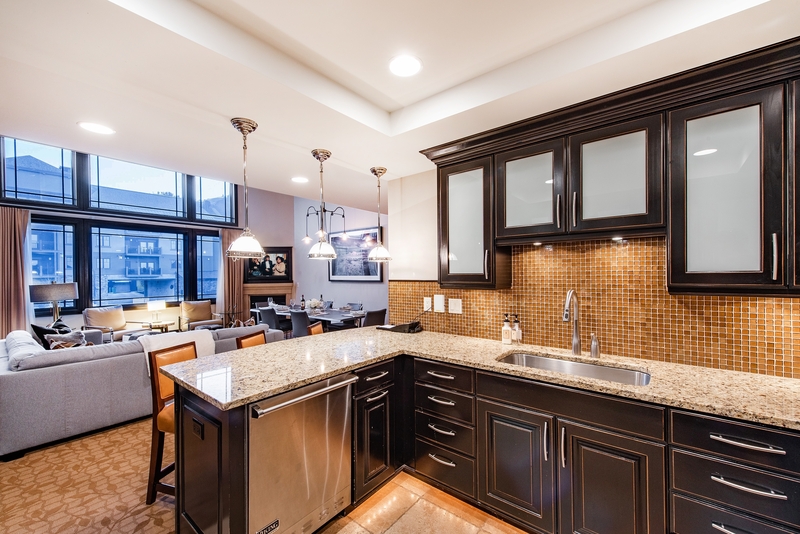 Our Three-bedroom residence has a spacious living room for relaxing and entertaining, a gourmet kitchen to cook anything you can imagine featuring all Viking stainless steel appliance, granite counter tops, mosaic glass tile black splash. 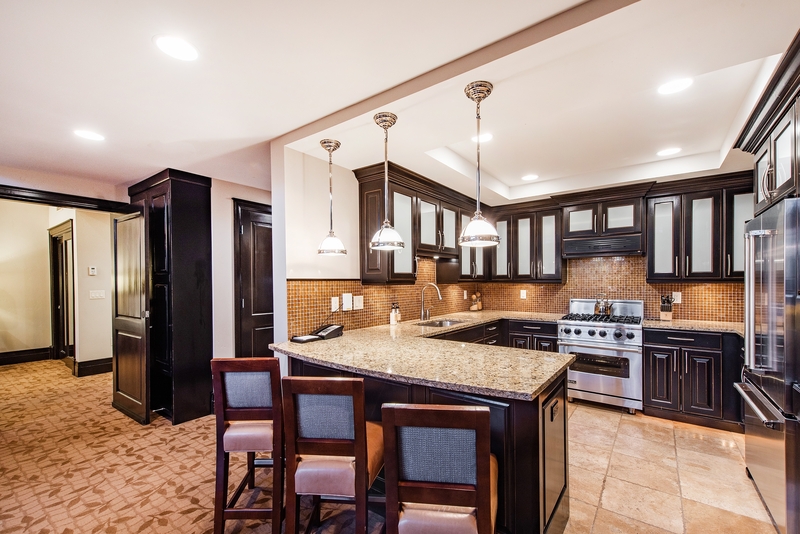 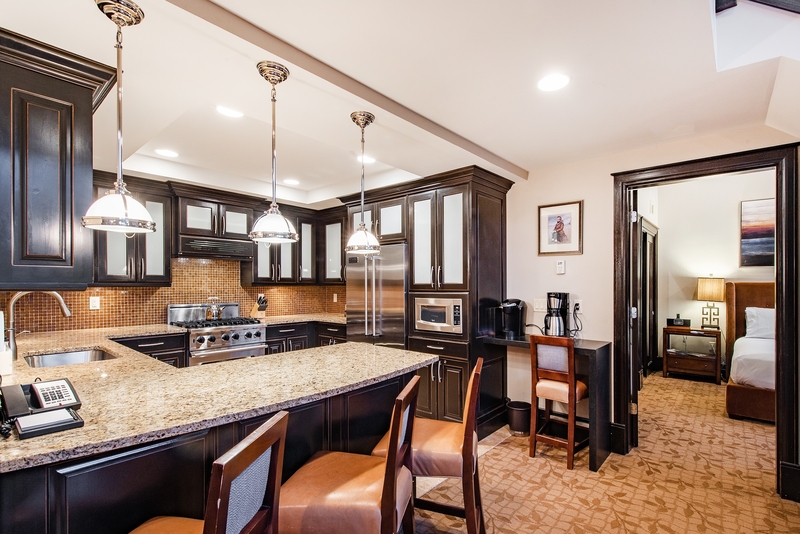 The kitchen also has a breakfast bar with four leather bar stools for that quick bite to eat. 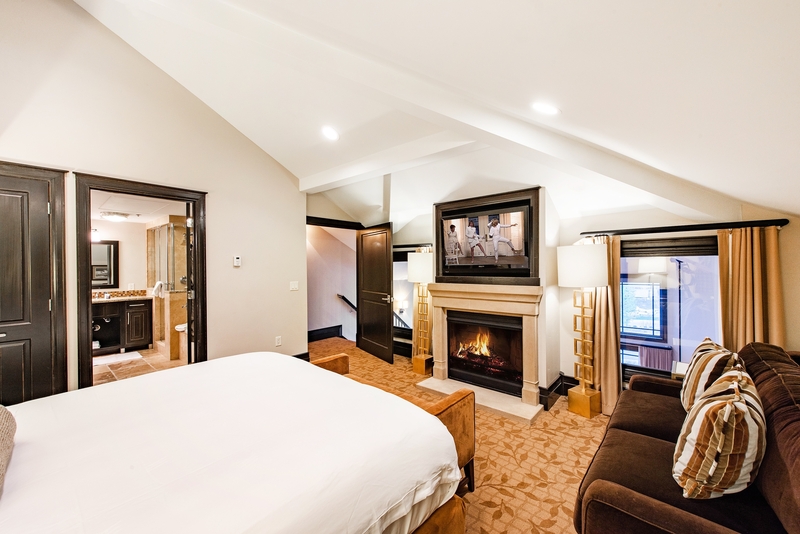 The master loft suite comes with a plush king-size bed, a deluxe master bath with an over-sized, jetted tub and a spacious walk in shower. 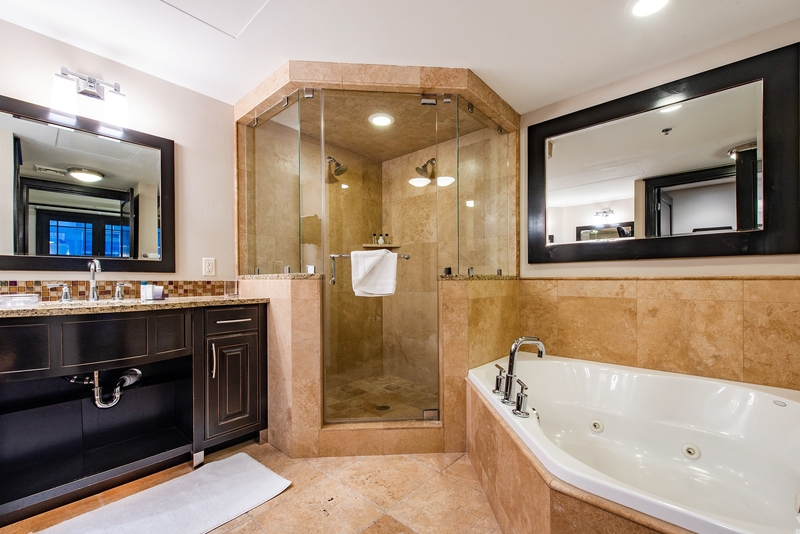 The master bathroom features granite counter tops and travertine tile floors throughout. 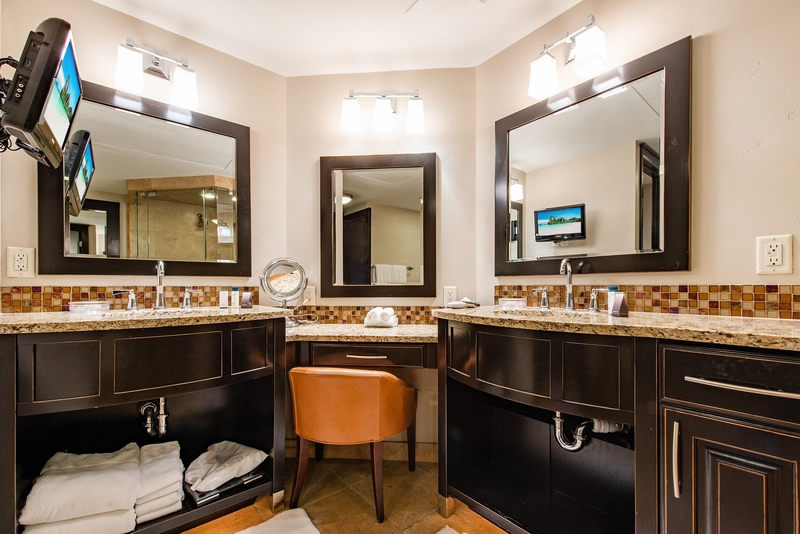 To keep up with all the latest entertainment and news, the master bathroom also features a TV! 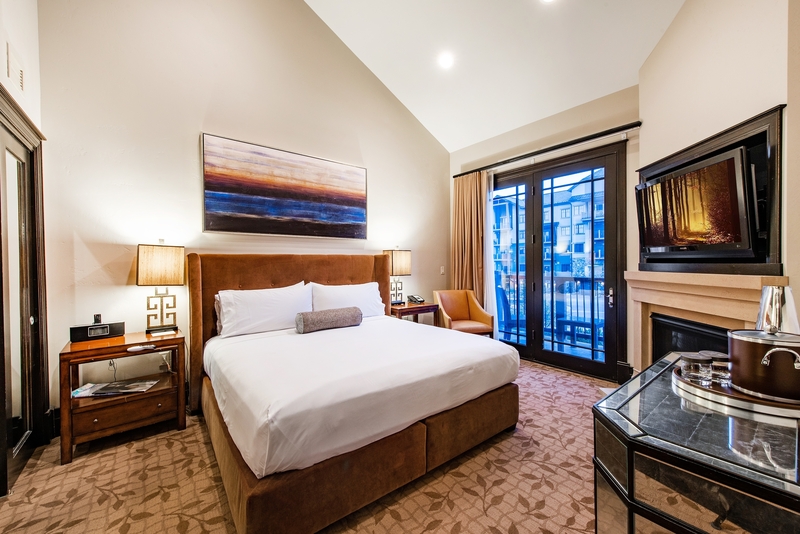 The second master bedroom with on-suite bathroom includes a King size bed, Nightstand, iPod Alarm clock, Fireplace, Flat Screen TV, Dresser, and a Jack and Jill balcony that is connected to the living room area. 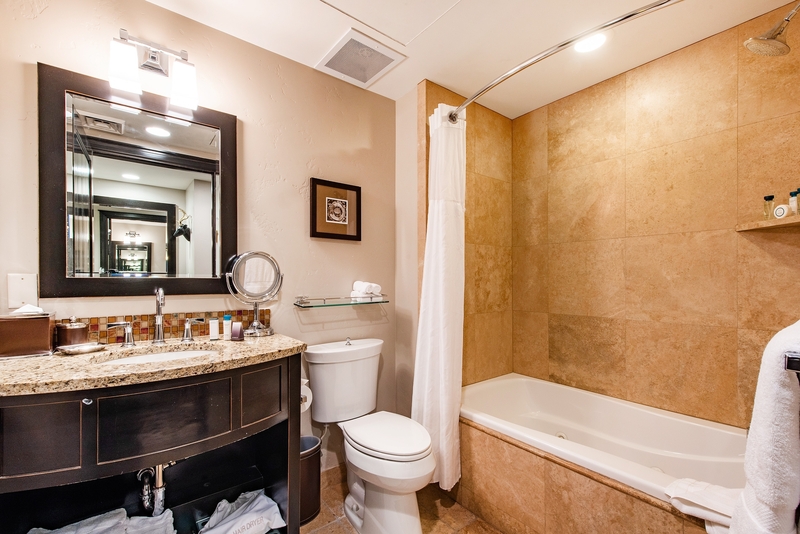 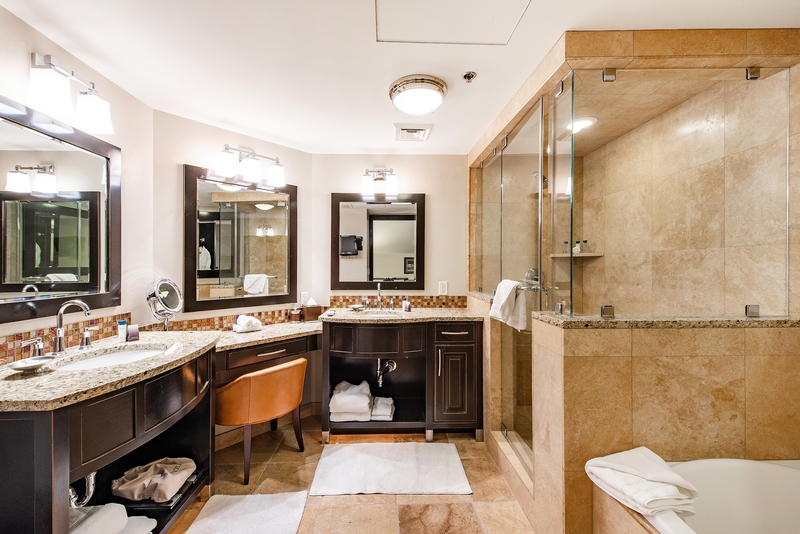 This bathroom also features a jetted tub and walk in shower with granite counter tops and travertine tile floors. 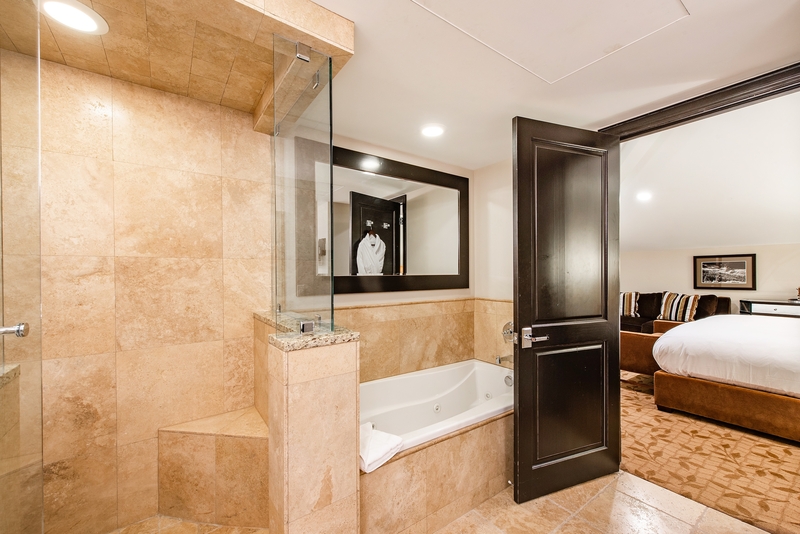 The third resort style bedroom also features an attached bathroom with a jetted tub, King size bed, private balcony, Flat Screen TV, Ipod alarm, dresser, and nightstands. 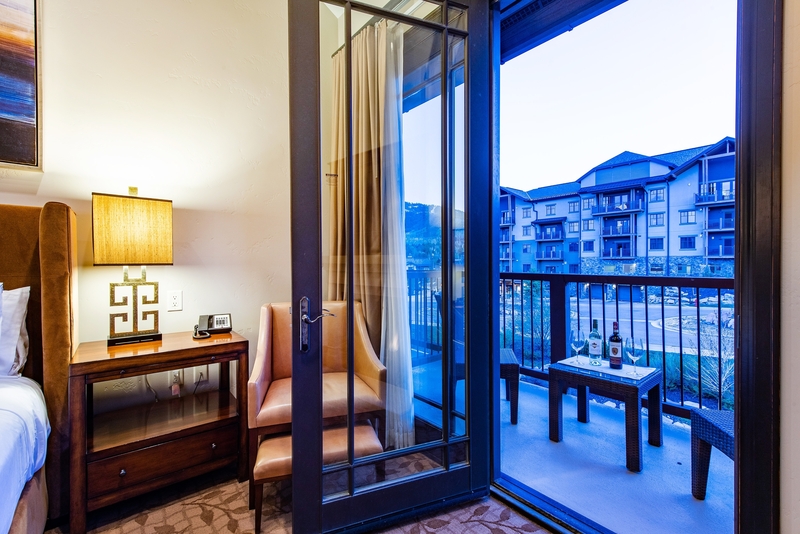 This bedroom can be locked off from the rest of the unit and rented out separately. 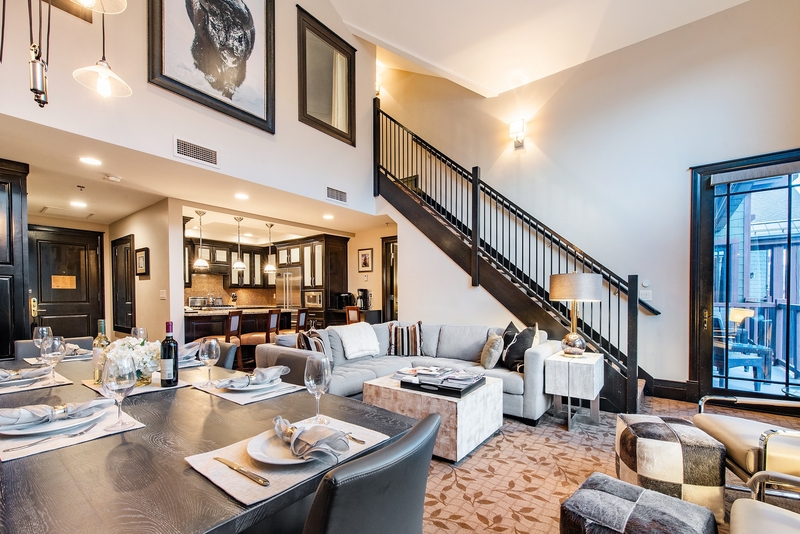 The residence also features a sofa bed in the living room, as well as stacked washer and dryer. 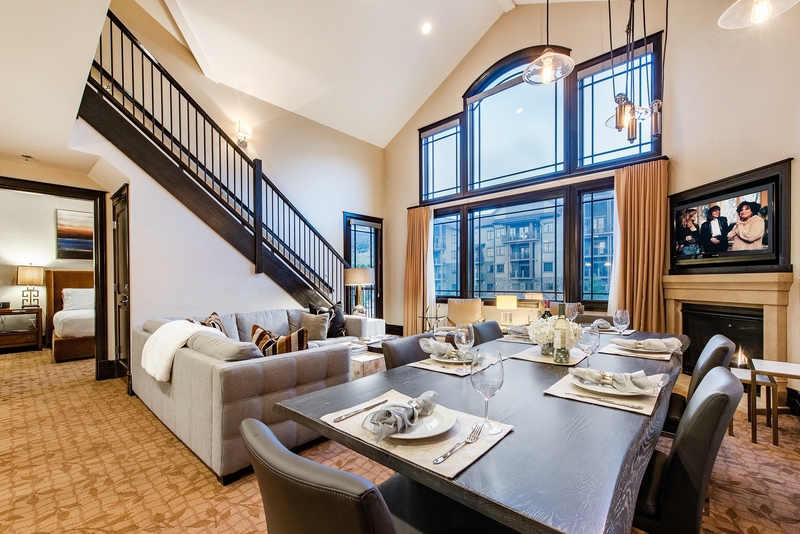 A dining area with a large table that seats 6. 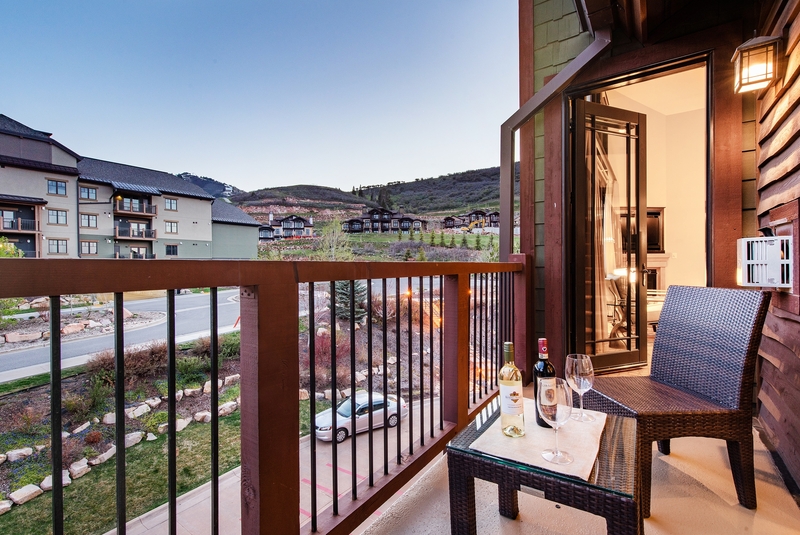 There is also a patio off of the living area with chairs and small table where you can sit out and enjoy a bottle of wine. 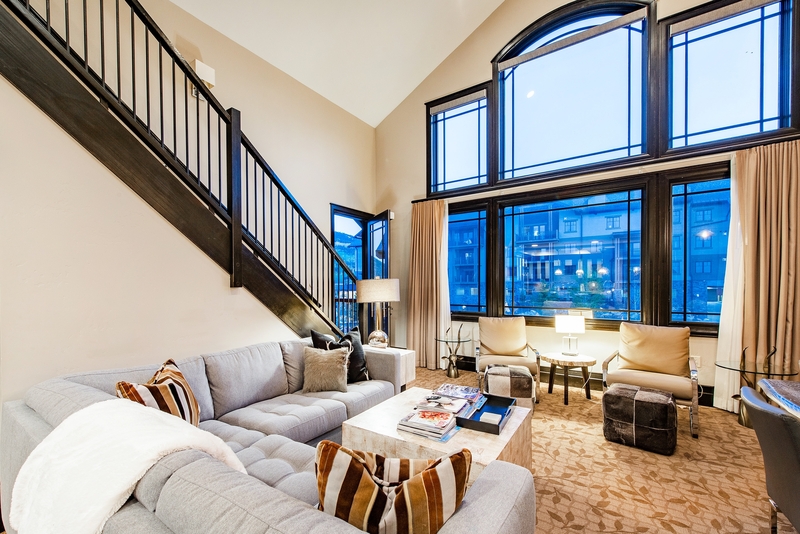 The large sectional couch has enough seating for the entire family.